The 5th book in the “Frost” series is out today and it does not disappoint! I loved narrating “Midnight Frost” and I hope you love listening to it. If you watched HBO’s “The Newsroom” last night, you may have seen me in a quick scene with Jeff Daniels and Sam Waterston. So much fun to be back on that set and such an honor to work on my favorite show on TV. A few months ago, Brilliance Audio was kind enough to trust me to narrate the lovely Tween novel “Below” by Meg McKinlay. Watch Full Movie Captain America: The Winter Soldier (2014), Free Download Full Movie Captain America: The Winter Soldier (2014) Online , Captain America: The Winter Soldier (2014) English Subtitles , Free Streaming Movie Captain America: The Winter Soldier (2014). Stars : Chris Evans, Samuel L. Jackson, Scarlett Johansson, Robert Redford, Sebastian Stan, Anthony Mackie. My addictions – waaaaay off topic! OK people, I have 2 addictions in life, and it’s time I come clean and share them with you. The first is the car service Uber. It’s amazing. Same price as a regular taxi and 1000 times better. I would just feel bad about myself if I didn’t tell you about it. I’ve been introducing my skeptical friends to it and now they are hooked. Oh, and here’s the link. We both get credit if you click on it to sign up, so it’s a win-win!!!! My other shameless addiction is Amazon Prime. I hope you already have this, but if you don’t, I’ll give you a link for a free 30 day trial. You will be hooked. Free 2 day shipping and tons of free stuff to watch online. Now I have to get back to work. I have 3 books to record this month that I can’t wait to tell you all about. 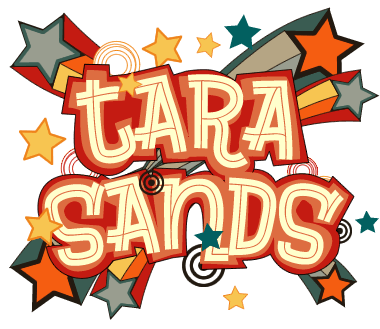 http://www.tarasands.com/wp-content/uploads/2017/01/dot.jpg 0 0 Tara Sands http://www.tarasands.com/wp-content/uploads/2017/01/dot.jpg Tara Sands2013-07-02 13:56:002013-07-02 13:56:00My addictions - waaaaay off topic!